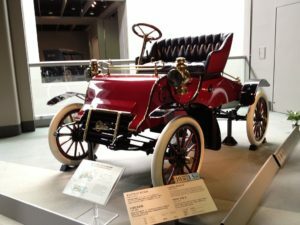 After the formation of Cadillac automobile company, the first car was manufactured in October 1902, and from then on the company never looked back! It was supported by its own precision manufacturing and reliability, which made their service a better one in a huge slew of cars in American market. In 1909, it was purchased by the General Motors, and was devoted to manufacture large luxury vehicles. The popularity boost for Cadillac in 50s was strengthened by several developments in the 40s. Cadillac had returned to manufacture prestige cars exclusively after 1940; style changes like the inclusion of tailfin styling for 1948, overhead-valve V-8 for 1949, and hardtop convertible body style were also incorporated. 1952 was the 50th year for Cadillac, and they celebrated it by manufacturing 1, 300, 000 number of Cadillac cars all over! The year also marked Cadillac as the most powerful car in the American automobile market. Cadillac epitomized its design techniques and engineering in the year 1959—it is believed that no single automotive design can outclass the 1959 Cadillac design. It had almost everything: Large tailfins, twin bullet tail-lamps, power brakes, power steering, automatic transmission, and dual backup lamps, etc.—a perfect combination of elegance and engineering mastery! The 1960s were the start for an impressive style—Cadillac gained more grace and elegance, and some engineering advances were also introduced. The automobile advancements were further introduced in almost all the models of 60s, and in 1965, Cadillac produced nearly 200,000 cars. 1966 marked the best sales year of Cadillac, breaching the 200,000 mark by 5,001 cars. 1967 saw the launching of Cadillac Eldorado—the finest model of the decade! Mass manufacturing had been a salient feature of Cadillac cars, and this amply describes their popularity among the American crowd. It is utterly impossible to think America of 50s and 60s without the sound and glitter of Cadillac cars making their movement on roads! Ray Taylor has been a gear head since he was 12 years old. He has put on the San Diego Auto Swap for the past 16 years. He also owns a few auto related web sites.